Finding counseling services that meet your needs can be challenging. We have outlined some steps that can help you get the counseling help you need. Please feel free to contact us if you have any challenges. Here are some quick steps to ensure that your insurance will cover your counseling services. ​1. 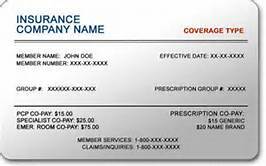 Look on the back of your insurance card to get the number to member services. ​3. If they do not, ask if they accept out of network providers for your insurance plan. ​ call the office (405)748-0091 to schedule an appointment. Just call (405)748-0091. One of us will be happy to assist you in verifying your benefits for coverage. If you are not covered by insurance but you still would like to schedule a session. ​1. Call (405)748-0091 to schedule an appointment. ​2. Press the button "I'm not covered". ​4. Be sure to fill out the forms provided after you order is completed and bring it with you to your session. Caution, Complete only if your insurance confirms that you are covered for counseling sessions with Calvin Smith, MA, LPC. 2. Complete your forms after your order is complete. ​Call (405)748-0091 if you have any questions.